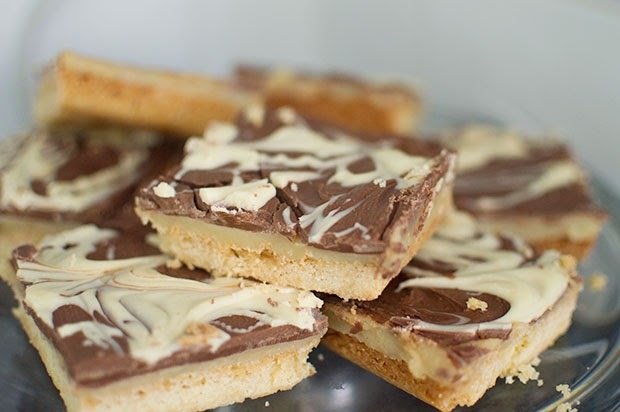 I blooming love a good piece of caramel shortbread. Whenever I go to a cafe (*Cough* Costa) I always have to pick up a slice of my favourite treat. 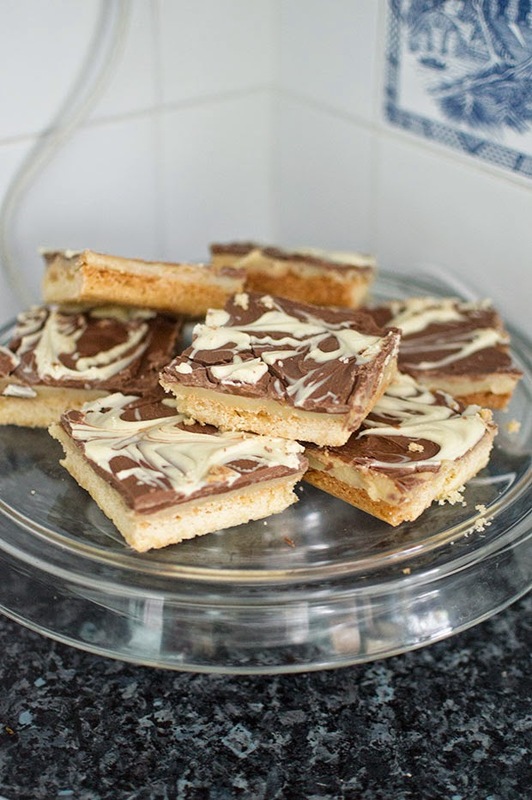 When I was little my mum used to make some of the best caramel shortbread, but she never liked to do it too often as she used to say it took her to long. 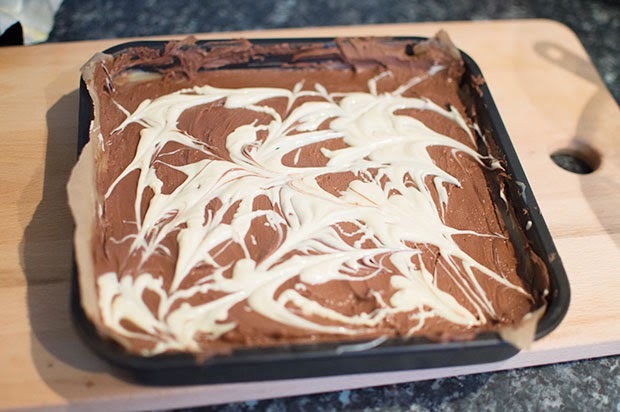 Now I've found the perfect recipe that can whip up a batch of these yummy treats in a couple of hours tops. 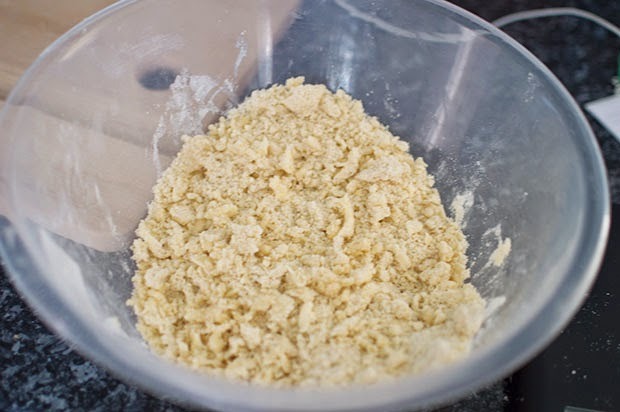 2) For the shortbread, pour the flour, sugar and butter into a bowl and use your hands to make crumbs. Pour your mixture into the tin and then use your hands to press it down, making sure its in there nice and tight! 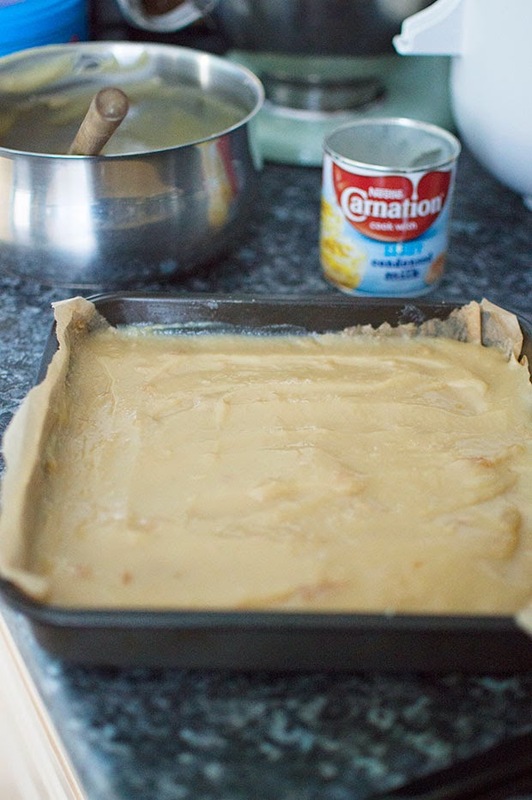 3) Make sure the mixture is level and then bake in the oven for 35-40 minutes. Allow to cool in the tin. 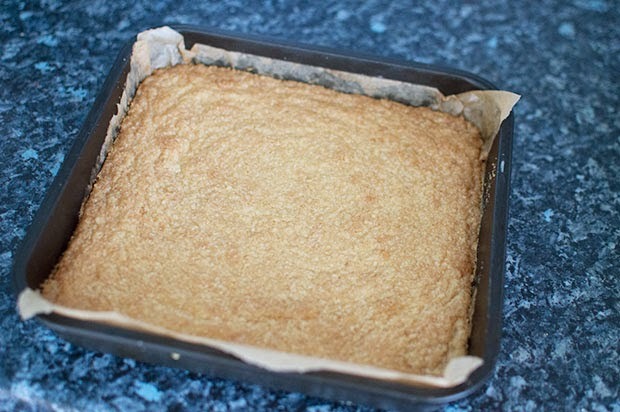 5) Pour the caramel over the cooled shortbread and leave to cool. 6) Last but not least the chocolate! 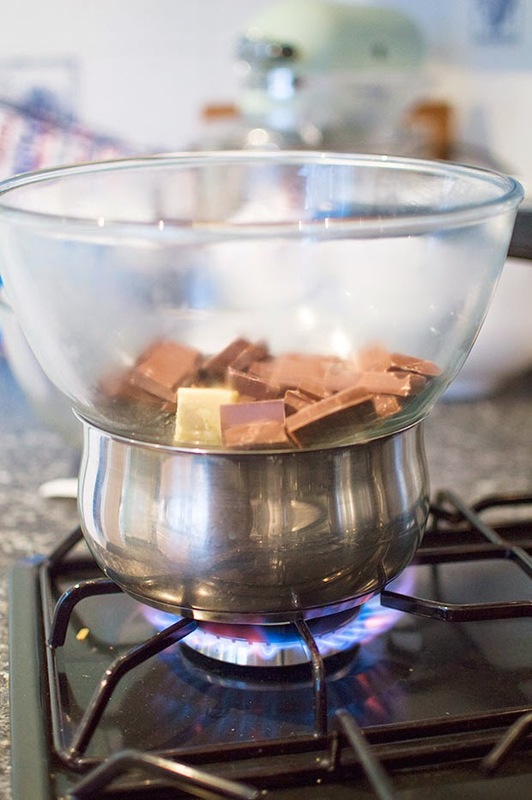 Put your milk chocolate and butter in a bowl over simmering water until melted, continuously stirring until smooth. 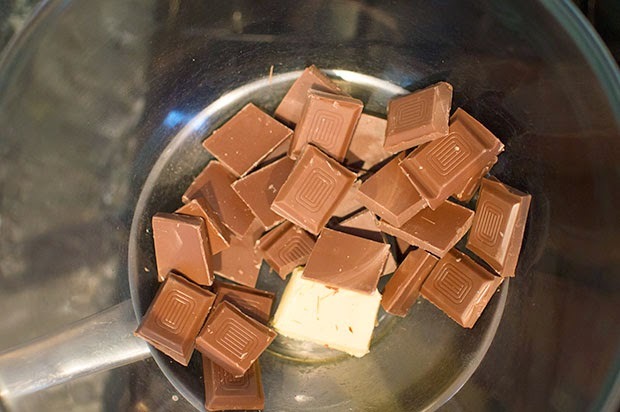 Melt the white chocolate without butter in a separate bowl in the same way. Try not to leave the chocolate over the simmering water for too long as it will start to seize up and you won't be able to cut that nice marbled effect. 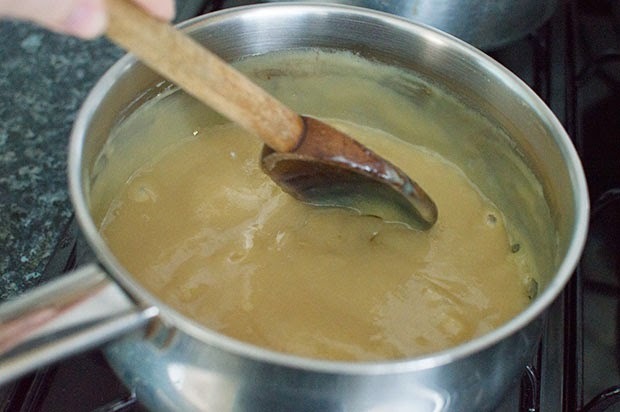 7) Pour the milk chocolate all over the set caramel and smooth out. Now pour your white chocolate over the surface in a swirly pattern and use a cocktail stick to make it look marbled. 8) Leave it too cool before cutting into pieces.